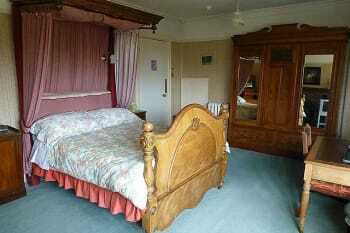 The Bramble Hill Hotel has 8 country style ensuite bedrooms offering Bed and Breakfast in the heart of the New Forest. 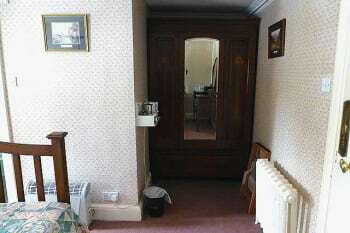 The hotel has retained its charm and history to offer a very comfortable stay with a homely feel. The leisure center offers a swimming pool, sauna and jacuzzi with a well equipped gym, which is included in your stay. Easy access to all the attractions, restaurants and places in the New Forest make this the perfect place to enjoy this wonderful area. Alan was the perfect host, a lovely guy with a lot on his plate running the whole thing by himself. The lodge itself is a gorgeous old country house with an interior to suit. The breakfast was delicious and the fact that we could bring our dog with us was the icing on the cake. The hotel is situated in a beautiful location. Rooms, décor is old fashioned, however this suits the hotel and part of the appeal. If your looking for a hotel with all the mod cons, this is not for you. If your looking for quirky hotel with character, you will enjoy your stay. We came as a large group (7 adults, 3 children) and all of us loved our weekend away at Bramble Hill Hotel. We felt really looked after and everything we needed was provided for us which made the weekend really special. We definitely will return. Our group (7 adults and 3 children) of mixed riding ability went horse riding in the New Forest at the Brockenhurst Riding Stables. Brilliant experience with wonderful horses, led by careful and caring instructors. The only reason the cleanliness is marked down is because it is a dusty place due to age and there is a fair bit of updating that could be done (I was in room 6, 4 poster bed) to improve cleanliness. But, where it could be clean, it really was! Pool and gym fantastic size. Alan the owner is very friendly and will happily sit with you for a drink on the lawn! Love how quiet it is, only an odd wild horse I heard or fluttering bat. Direct into the new forest, great access and great pubs nearby, within 1 mile I would say. The Green Dragon great food and beer. I didn't go anywhere else as was working the next day but I am confident that all of the restaurants and pubs around there would be of good standard. 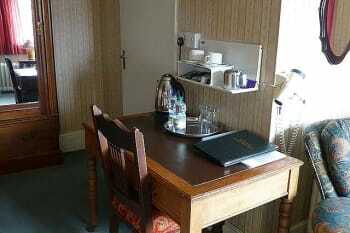 Only breakfast served at the hotel so you will need to go out for your evening meals. Lovely hotel, very clean and tidy. Staff were extremely polite and helpful. we loved our short stay at this grand old hotel. The place is bursting with character. Please remember it is a B and B and not a hotel. Don’t expect room service etc. The owner Alan is a kind old fellow who made us feel very welcome even with our dog. 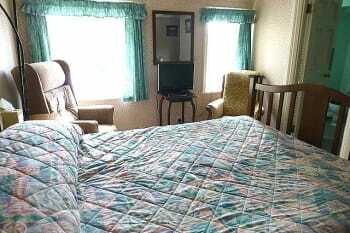 The room was clean and comfortable and the area feels remote and serene. WiFi is available in the lobby but phone signal is virtually non existent. There are some great pubs nearby which serve good food. Excellent location for a peaceful weekend break. Although parts of the hotel were rather dated we thought it was brilliant location for exploring the beautiful New Forest. We had a lovely, lovely time. Beautiful lawns and rhododendrons. Fantastic to just walk out into the forest. Our room was lovely and clean and comfortable beds. Communal areas are a bit dusty and cobwebs. Great place if you have dogs. Very likeable owner with sense of humour. If you want a modern place all matchy, then this is not for you. The jacuzzi was great but unfortunately pool not open. Very quiet at night. A bit creepy taking dogs out in the middle of the night like a scooby do mystery. You're in the middle of nowhere. Lyndhurst is 5/6 miles away. Going to re-visit in the summer to use the pool. Amazing host made us feel at home and relaxed;would have liked to have spent more time in the bar. Whilst many has quite a bit of negative to say about this place I can only say that for us personally we think it was the most amazing experience. Alan is a gentleman and a perfect host. We felt so at home there that we did not want to leave. A real gem if you love architecture and a step into how it was done in the past. If you into modern then I'm sure a Holiday Inn would suite you better but for those who appreciate this sort off thing you will have to look very far to find anything better. Great value for money. Can't wait to return in the summer. Exceptional for people who want to have a horse weekend with your own horses to enjoy a quitter part of the forest. Very little road work needed as you can go straight into the forest from the hotel premises. Lots of nice places/pubs to visit. Again, Alan is happy to advise or google and you'll see plenty.. If you're the type of person that likes posh hotel chains then this place isn't for you. 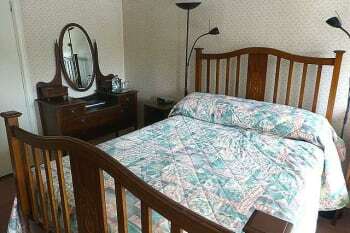 If you're looking for something more homely and relaxed then it's perfect. The swimming pool is amazing and has a great assortment of water toys for the children. Alan was very accommodating to our needs, opening breakfast early for our hungry 2 year old and recommending some lovely local pubs for us to go to dinner. We found our room comfortable and clean and I was very grateful for the complementary shampoo when I discovered I'd packed two bottles of conditioner by mistake! Since we got home my six year old has raved about it so much we're now planning another trip back with nanny and grandad as well! If you are staying with kids I would highly recommend the Sir Walter Tyrrell pub for food. The service was brilliant, food was lovely and there is a huge play area outside. If you need to know how to get there from the hotel just ask Alan to draw you a map! We had the most amazing time at Bramble hill for 3 nights. We had read some negative reviews previously, however, we feel these were completely unjustified. 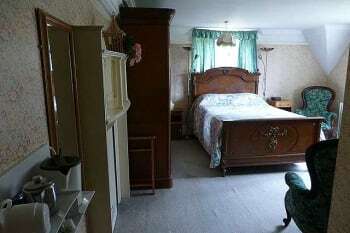 Bramble hill is a 400 year old building with Victorian interior and decor. It's beautiful and a gem hiding in the wilderness of the New Forest. The rooms are clean and the breakfast basic but delicious. The whole establishment is run by Alan single handily , who is without doubt the friendliest most hospitable hotel owner I have met. Nothing was too much trouble and he went out of his way to make myself, my husband and son feel completely at home. And we did. The hotel felt more like staying at a relatives house rather than an impersonal hotel. The hotel has top class leisure facilities and we used the very clean and almost empty pool and jacuzzi everyday. Bramble hill is a wonder. If you are looking for a modern hotel with mod cons in a busy area, you will be disappointed. But if you are looking for a beautifully well looked after period property in the middle of the new forest with peace and quiet with a family friend feel then Bramble Hill is where you need to be. The only problem we had was we came without transport which can be a problem as the hotel is quite deep within the Forest, but Alan was more than happy to help out. This place is a gem, that we will no doubt be visiting again. Walking in the forest. Paultons theme park, for families and children. The Green Dragon pub in Bramshaw for dinner. You must bring a car, taxis are hard to come by and expensive. 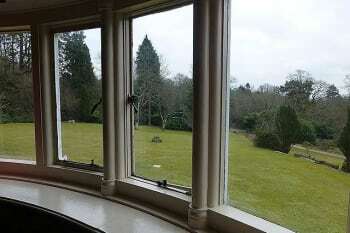 A unique Edwardian country house hotel, eccentric, comfortable, homely but NOT remotely like a hotel chain. So enjoy the difference. Beautiful period rooms and best cooked breakfast ever. Welcomes dogs and horses and is perfect for exploring the forest. Lovely pleasant stay. Had everything I needed plus a swimming pool. Would definitely recommend to a friend and stay again. Allan is a great host, nothing was too much trouble. We put 4 for the facilities only because evening meals are not available, but there are plenty of places in the vicinity. We and our dog were made very welcome, there are lovely grounds to walk around and after dark you can watch the bats and listen to owls. 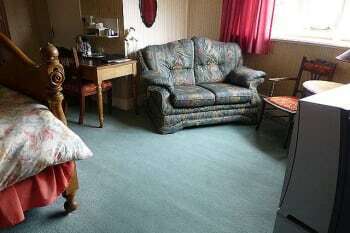 There is also a lovely leisure suite, pool etc. The building is so unique, absolutely fascinating to look around. The Green Dragon and The Three Bells, serve good food. The location is excellent, nothing is very far away. We would stay here again. Amazing owner and location. The hotel I great had everything we needed for are stay. The pool and gym were top of the range. Breakfast was great value as well. Quiet location in the New Forrest. Incredible old hotel slightly passed its best but full of character and furniture! Delightful host. Excellent local pubs in a very special part of the country. Lovely hotel in superb location with an excellent swimming pool and gym. And Alan was a wonderful host. We can't wait to return. Only slight downside was no food being available in the evening. When we returned to the hotel after a hot afternoon's cycling, we were very hungry so we would have loved to have eaten at the hotel that evening without getting in the car and driving to a nearby pub. But recommendations by Alan for local eating places were excellent. Just our style, old fashioned but very, very, homely. We both enjoyed our stay and Alan could not do enough to make certain it was a good stay. A fascinating hotel to explore, the bar and breakfast room were superb. Lovely, in the New Forest, with walks and plenty of parking in all areas of the forest. Great for photo opportunities. A great, place to stay and a first class service from the staff. Best English breakfast in the New Forest. 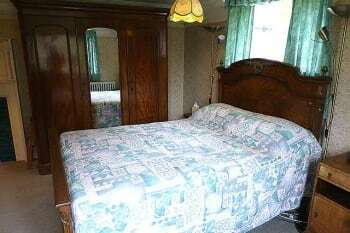 An extremely pleasant and comfortable stay. Alan was very friendly and helpful. We thoroughly enjoyed our stay and the use of the facilities. Although there is no evening restaurant in the hotel, there are many excellent pubs near by. Lovely old building with plenty of character, but could do with a bit of maintenance, eg painting window frames. Excellent modern fitness centre. Delicious breakfast, although it would be nice to have a choice of yoghurt as well as cereals. Owner could not have been more helpful. The Green Dragon pub is in walking distance (less than 2 miles) and is very welcoming. Good food and friendly staff. The New Forest bus tour is a good way to get around but unfortunately buses are not frequent enough and end quite early. Homey and very enjoyable place in the middle of the forest. Leisure fcilities are brilliant, and very friendly and thoughtful staff. Perfect place to live a fairytale stay in a charming and unique hotel. Highly recommended. Don't forget to try one of the hotel's delicious cream teas. 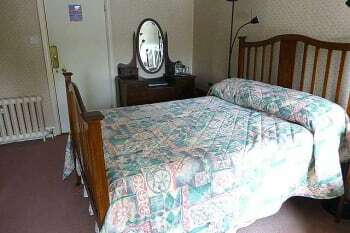 In lovely quiet setting and with excellent gym and indoor pool which those staying for B&B can use free of charge. A charming property although a little faded. We returned for our second visit this summer and were made very welcome. The green dragon near by provides good food. 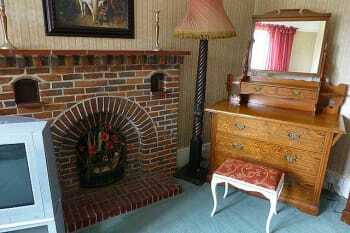 A most quirky Hotel (B&B) Be prepared to be transported to a bygone era in both décor, fixtures and fittings. A must go-as establishments like this are fast disappearing in this modern age. The location and the service by Alan cannot be faulted and we thoroughly enjoyed the step back in time. 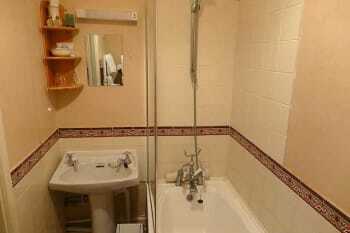 The bathroom suite with the roll top bath was just a joy to use. Leisure facilities were great and we intend to join at a later date. Just not the cleanest of places but we knew that! Red Rover is the local 2 for £9.99 and the meals and service are superb. For a more special menu, the Rockingham Arms is a must go. The Royal Oak in Fritham just up the road with Eyeworth pond down the hill is a must visit for walkers and Ale lovers. We love this hotel . It is very authentic , like a little time warp . About as far from corporate as you can get and for me that is a very good thing . We would have liked to have had time for a proper walk around the lovely grounds but we will have to do that another time . We had an excellent stay at Bramble Hill. Alan made us very welcome. The setting is fantastic. Will definitely be returning!! I came with my partner for a weekend away in the New Forest. We loved how quiet it was and we both had the best night sleep for a long time! The staff were amazing and the gentlemen at reception I believe to be the owner was a wonderful chap. We loved playing snooker in the Billiards room and they had a leisure centre with an amazing Jacuzzi and pool and my partner was impressed with the state of the art gym. We woke in the morning to a peaceful silence as the Hotel is quite out in the sticks, which was great for us. Although the ponies all around make it quite surreal. We did venture out in a taxi to Lyndhurst for dinner which was just 15 min away. All in all a fabulous stay and we will definitely go back again. Beautiful old manor house with great charm. The pool and fitness room are spectacular. Green Dragon is doggy friendly and good food. The location is superb, as is the leisure suite. The hotel is a little tired but Alan is extremely friendly and helpful, even offering to look after our two dogs so that we could have a swim at the same time. The new forest and his beautiful trees The indian restaurant in Lyndehurst is very good. Romsay Abbay is a beautiful church, nearby. 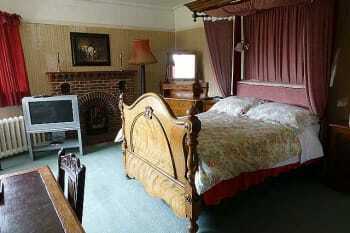 A beautiful old hotel style bed and breakfast with amazing leisure centre. Alan was a fantastic host and breakfast was delicious. My only issue was the bed needs updating in the family room but everything else was perfect and very peaceful. We had dinner at the White Hart pub both nights as the food was delicious and great outdoor playground for kids. Lovely hotel with lots of character. The swimming pool and gym facilities were wonderful, it appears these have been newly built or refurbished. I would recommend afternoon tea and cake at the hotel in the tranquil garden! Staff at the hotel suggested a cycling route so remember to ask for their recommendations! Relaxing, beautiful, quaint, quirky, fabulousness - an absolute gem. Alan's breakfasts wow. The Lamb Inn, welcoming, high standard of food. Excellent friendly service from Alan. A brilliant hotel, lovely atmostphere and great staff. Will be going again soon.